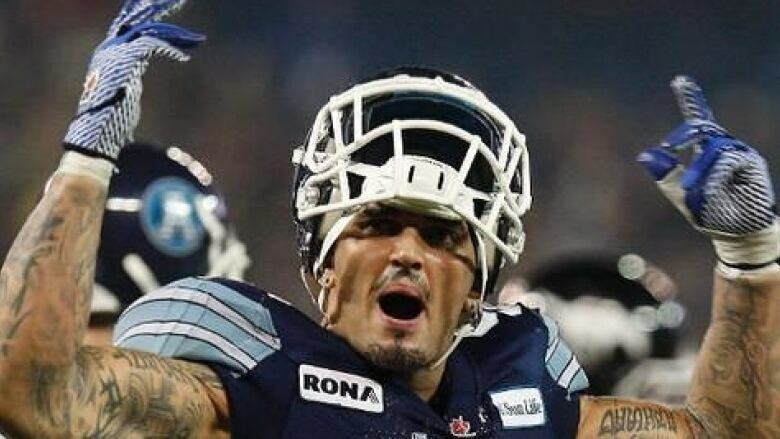 Toronto Argos defensive end Ricky Foley is "sick" of the attention the Maple Leafs and Raptors get, while the city treats his league, the Canadian Football League, like "poo," the player tweeted on Wednesday. Foley was irate after the Toronto Maple Leafs announced a new coach on the same day the Argos announced a new stadium and owner. He chalked up the Leafs publicity move as "jealousy" that the Argos have a winning record. He also took aim at the NBA's Toronto Raptors, saying their logo "We The North" does not represent the team, since many of its players return to the United States in the off-season. Foley's tweets can be read below. Some are mildly profane.